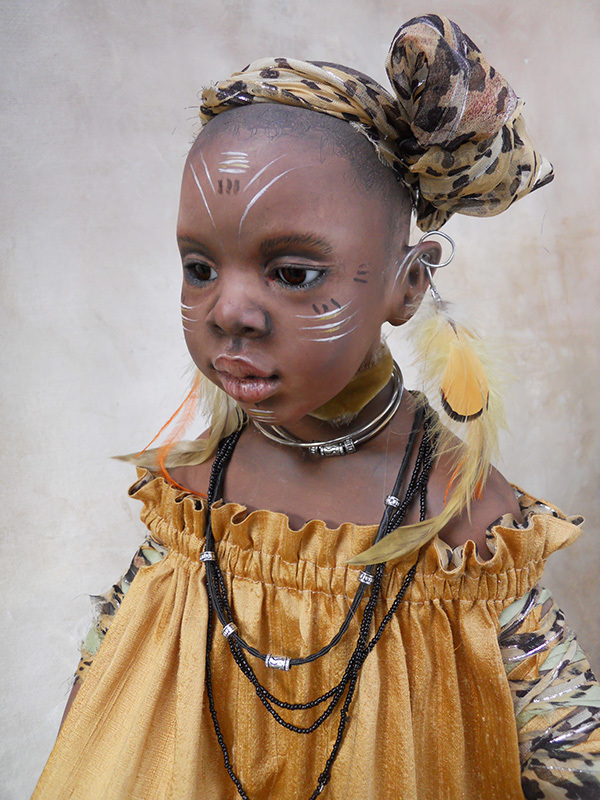 “Tiger” is a beautiful African child. Her face is lightly painted to suggest the markings of a Tiger. She wears a rich gold silk tunic, highlighted by a chiffon animal print. Her ears are pierced with silver and feathers. 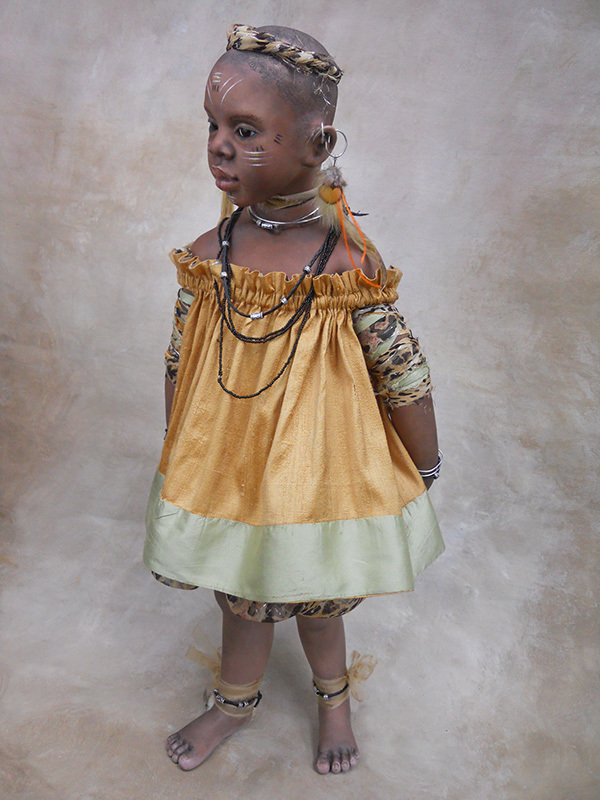 Her necklace, bracelets and anklets complete the playful Tiger theme of this unusual little black African girl.